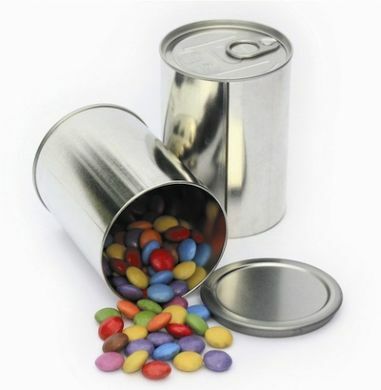 These full height 400ml tin cans are ideal to serve a surprise for your customers or guests. Just place dry food into the tin, press/hit (use a mallet) the self sealing bottom of the tin in place and serve to your guest. Once the ring-pull has been pulled it cannot be reused. However we sell plastic caps for re-sealing the lid. 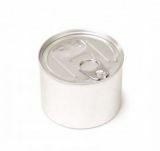 Ideal for dry foods - however liquids will seep out of the bottom seal. Push in base & pull ring opening. Ideal for gifts, nuts, socks etc.